Small trucks come in many shapes and configurations. If you have orders to deliver or need a truck to pick up or deliver supplies, nothing beats the convenience of a small to medium size rental truck that can often be driven with a standard car licence. Our trucks are available in a number of options including tautliner with gates. This set up makes it easy to load and unload pallets with a forklift. Hydraulic ramps allow you to load items with a trolley making boxed deliveries a breeze. If you're moving stock or a heavy load, our 3 tonne trucks can still accommodate a lot of cargo and they’re easy to park. This makes navigating narrow driveways or tight spots in the inner city a breeze. Coming in at 3.1 meters high this little workhorse can get almost anywhere, making it very convenient to load and unload. Whatever you need, Rentco is sure to accommodate you from its fleet of over 1900 specialty commercial vehicles. We are proud to operate a fleet of modern hire vehicles that undergo a multi-point safety check before they leave our depot. We have a staff of experienced and qualified technicians who service and maintain our fleet in-house. 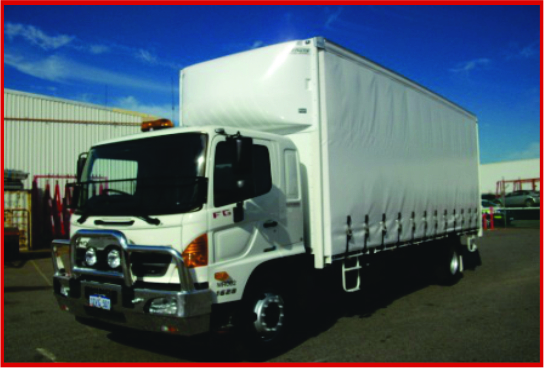 Rentco has one of the largest ranges of specialised trucks in Australia and we’re still growing. From mining trucks, trucks for building and construction, to self-drive trucks for moving house. We’re sure to have something to fit the bill. DIY moving has never been easier, our 18 cubic metre trucks are available in manual and automatic, and many are fitted with labour saving hydraulic lifts. Suitable for 3 to 4 rooms, these small trucks are a great choice for moving heavy items such as fridges, washing machines, sofa-beds and large furniture. We also supply flatbed trucks in this range. These trucks are a convenient option when you need to transport palleted goods or larger irregular shaped loads. Whatever the occasion, Rentco has a rental vehicle to meet your needs. We pride ourselves on offering very competitive rates for short or longer term hire. We offer the bonus of 24/7 national breakdown support service. Our fleet of modern, well maintained 3 tonne rental trucks can be driven with a standard car licence. With outlets in Perth, Adelaide, Melbourne, Sydney, Brisbane, Townsville and Darwin, you enjoy the benefit of reliable local service and peace of mind of a national network.